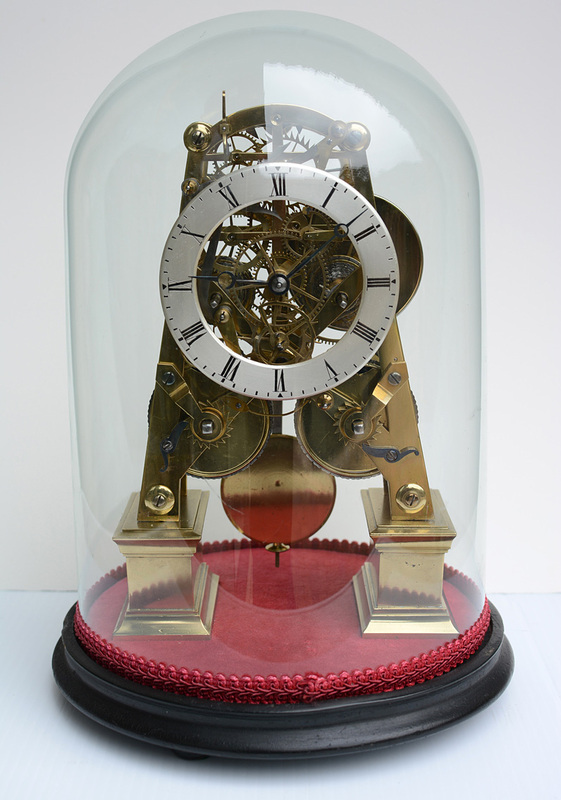 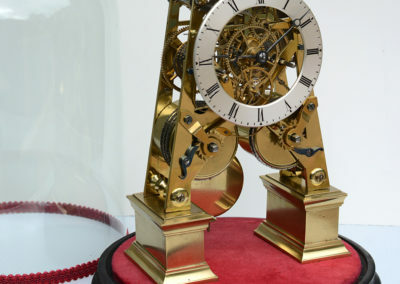 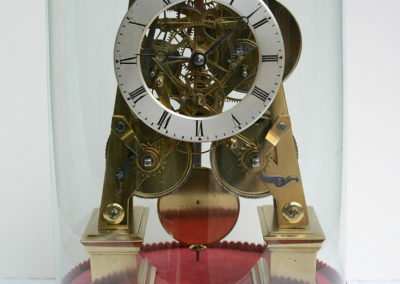 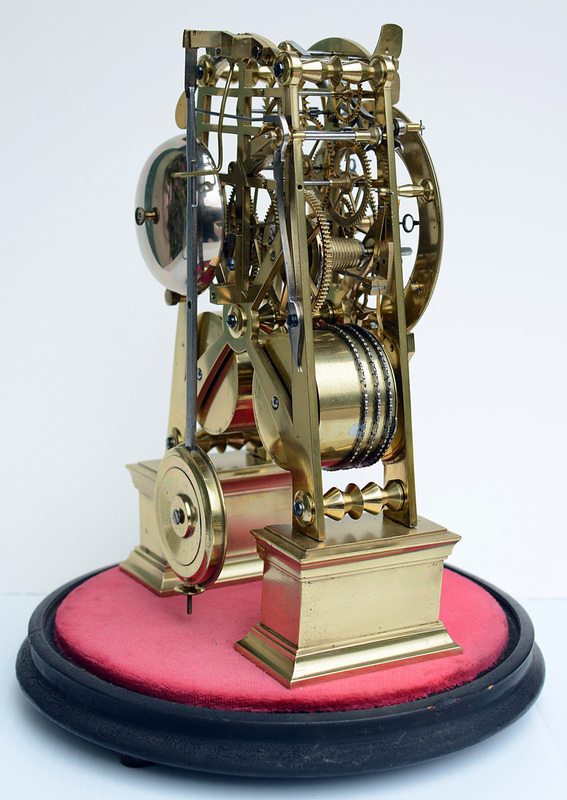 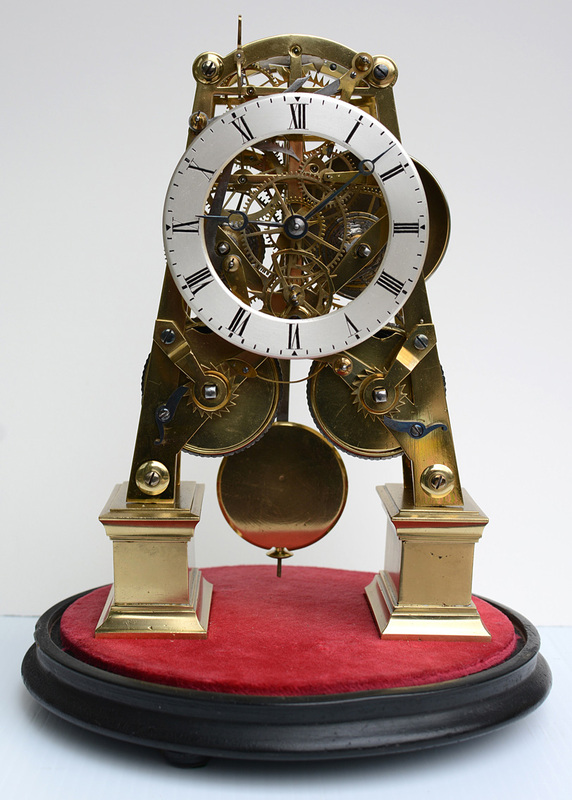 This is a well proportioned English striking skeleton clock with original glass dome and wood base. 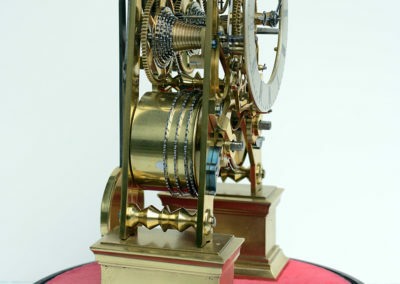 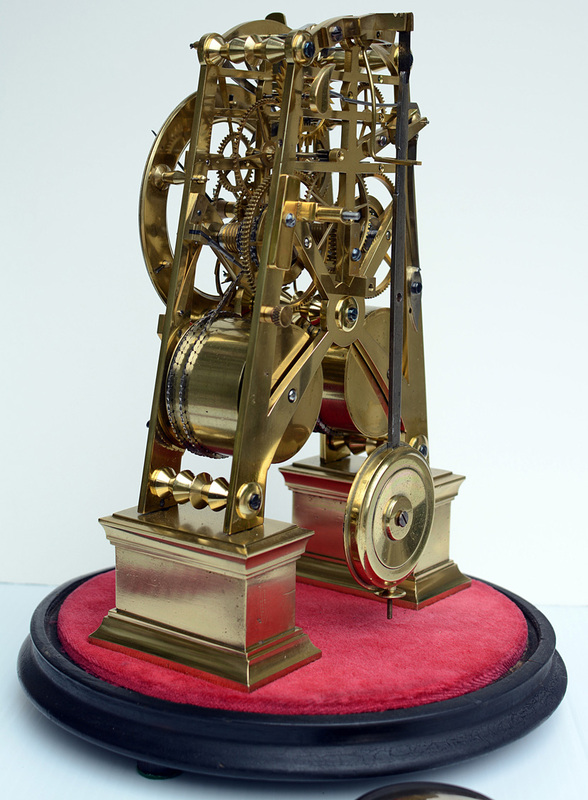 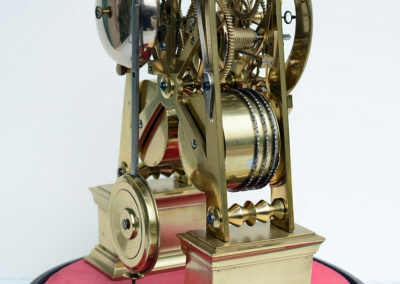 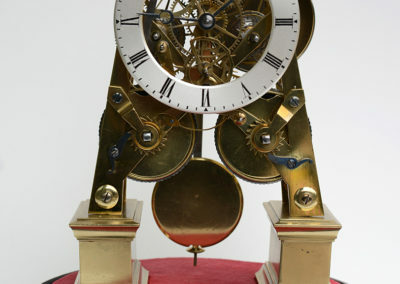 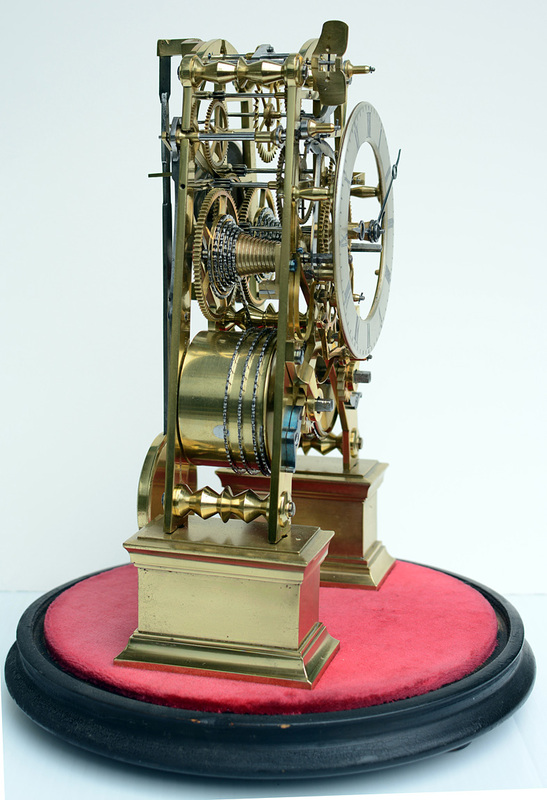 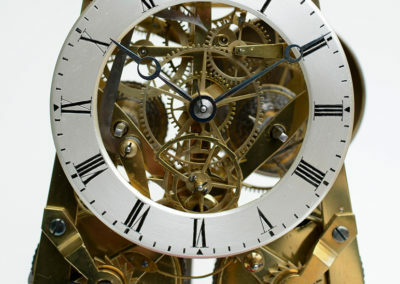 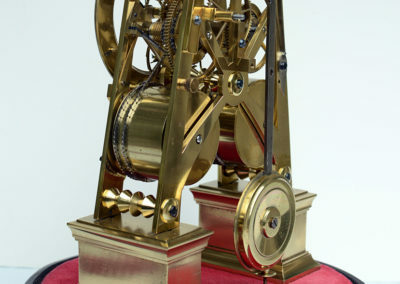 The eigh day twin fusee movement strikes on a bell. 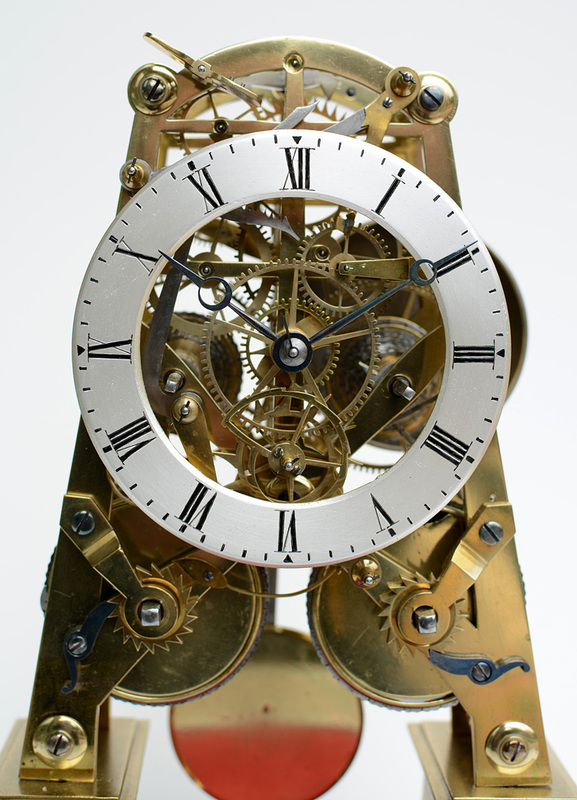 The silvered chapter ring has Roman numerals with blued steel moon hands. 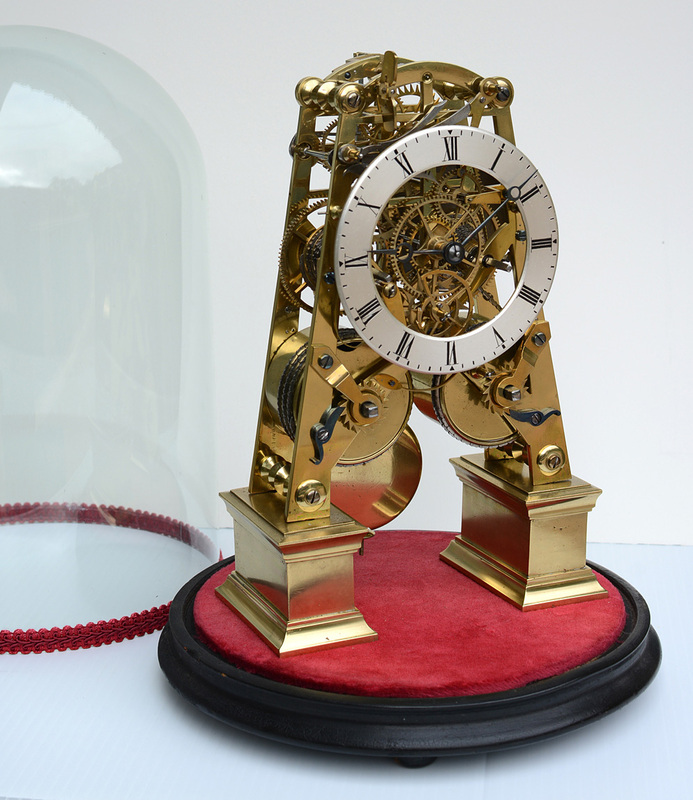 The clock is in excellent condition overall.